Ready to get Wild? You’ll certainly go wild for this, our latest giveaway, with a double pass up for grabs to Wild Nights in each city! Unless you’ve been living under a rock for the past few months, you’ll be acutely aware that Wild Nights will be hitting venues across the country from the middle of June. DJ Sash! is on board. So too are Denmark’s DJ Aligator, N-Trance from the UK and Canada’s Love Inc. But the 2018 Wild Nights tour will also mark the first time ever that German band Cascada will grace our shores. That’s despite them having a massive top five smash here with ‘Evacuate The Dancefloor’ and success with previous singles like ‘Everytime We Touch’ and ‘Because The Night’. The tour is set to kick off at Eatons Hill Hotel in Brisbane on Friday June 15; the perfect start to a big weekend. From there, it’s south to Sydney, across to Adelaide, back east to Melbourne and then across to Perth for the final gig at Metro City on Saturday June 23. And yes, we’re giving you the chance to win a double pass in your nearest city! Read below for details on how to enter! To win, head to our CONTACT page and fill in the relevant info in the ‘Name’ and ‘Email’ boxes (we’ll need your full name). In the ‘Subject’ box, use the term ‘I Wanna Get Wild In’ and which show you’d like to win tickets to. 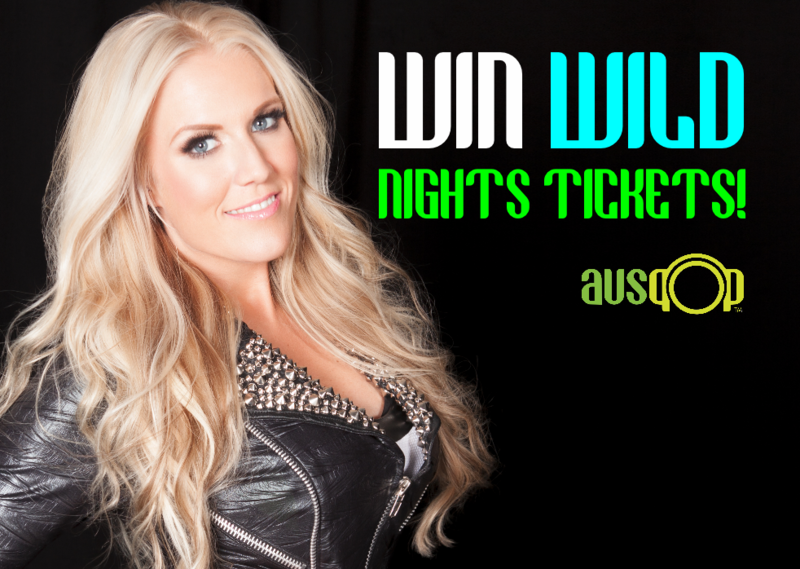 For example, if you’d like to try your luck for the Brisbane show, enter ‘I Wanna Get Wild In Brisbane’. In the ‘Comment’ box, we’ll be needing your mobile phone number (strictly for the purposes of getting in touch with you should you win) and you should also tell us why we should pick YOU to go along to the show! Pretty simple! BUT, you must be over 18 years of age to enter. Competition closes at 5pm AEST on Wednesday June 06, 2018. Strictly one entry per person/address. Competition is open to over 18s only. The competition is open to Australian residents only. We’ll be emailing and/or calling each of the winners to advise them of their win on Thursday June 07, 2018. One lucky winner will receive a double pass to Wild Nights in Brisbane on June 15, one winner will pick up a double pass to the Sydney show on June 16, one winner will snap up a double pass to the Adelaide show on June 21, one winner will bag a double pass to the Melbourne show on June 22 and one lucky duck will nab a double pass to the Perth show on June 23. Be advised, that travel to/from the event and any other associated costs (including your favourite tipple) are the sole responsibility of the winners. This prize is for the tickets only. Remember, we’re fussy when it comes to keeping your details private, so they’re never passed on to any third party unless previously advised. In this case, names, phone numbers and email addresses will be passed onto the publicist solely for the distribution of prizes.